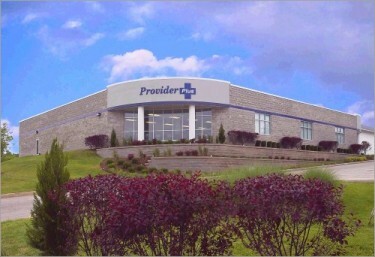 Provider Plus houses the largest medical equipment showroom in the St. Louis area with nine convenient locations. Provider Plus provides health care solutions with products that fit your special health care needs. Caring professionals are on staff to help guide and assist people to appropriate supplies and equipment. Provider Plus is an approved provider for most major insurance companies, including Medicare, Advantra, Group Health Plan (GHP), Mercy Health Plans, Blue Cross, Medicaid and Healthcare USA. Our commitment to the highest customer service sets us apart. Patient safety and comfort are our top concern. Take a moment to browse our website in order to see the extent of our comprehensive lines of equipment and supplies. Feel free to contact us with questions or comments. Our Company has a complaint policy & procedure; please contact us 314-961-8500 if you experience any problems. In the event your compaint remains unresolved, you may file a complaint with our Accreditor, The Compliance Team, Inc., via their website www.thecomplianceteam.org or phone, 888-291-5353. Our Company is compliant with the Illinois Biometric Information Privacy Act. See our policy here.